On October 31, 2014, we had a riveting Q&A Interview with Daniel Ariely, PhD, James B. Duke Professor of Psychology & Behavioral Economics at Duke University, world-renowned presenter of four TED talks with a combined 9 million views, and author of New York Times bestsellers Predictably Irrational, The Upside of Irrationality, and The (Honest) Truth About Dishonesty. 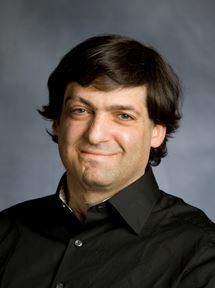 Dan Ariely (he pronounces his last name as “Oh, really”) is the James B. Duke Professor of Psychology and Behavioral Economics at Duke University, with appointments at the Fuqua School of Business, the Center for Cognitive Neuroscience, the Department of Economics, and the School of Medicine, Senior Fellow of the Kenan Institute for Ethics, a founding member of Duke’s Center for Advanced Hindsight, and author of 3 bestselling books. While rated as a leading Behavioral Economist, he never earned a degree in that field. Yet he is on-call, internationally connected, and well-travelled. Everyone wants time with him and the brilliant solutions he offers. Contacts on his smartphone include Jeff Bezos (CEO of Amazon and Washington Post owner), as well as the CEO’s of Procter and Gamble, American Express, and McDonald’s. He gets calls for advice and collaboration on new projects from the Bill Gates Foundation, development strategists, and companies in Turkey and Switzerland. He meets with governments–sometimes for free, because of the work’s importance. The British government has established a special office of behavioral economics and calls on him. In the USA, he’s collaborated with the Departments of Energy and Defense. It turns out one of the London “meetings” was actually an invitation to tea with Prince Andrew at Buckingham Palace. With physical limitations on using email, very few exchanges of business cards, and no time for networking, Dan has become a sort of celebrity–transforming a somewhat dull academic field by his energetic interest in investigating and offering practical solutions for change. Based on his observations (and he’s very adept at taking a meta-view) and supported by findings from his innovative research, Dan has become an expert at explaining human nature and predicting our sometimes irrational patterns of behavior. So he feels compelled to respond to requests and collaborate–to help people understand obstacles, set-backs and failures, why ideas and programs aren’t working, and how we can use research to make them better. He knows how to motivate, what strategies will sell, and how to move organizations and people towards desired changes–all evident in his entertaining, engaging TED talks, where he presents as “a funny guy on a mission” (says one book reviewer). We might wonder when he sleeps! Dan has been propelled into the international spotlight as a behavioral economist, a discipline that sprang from psychology. He has two doctorate degrees–in cognitive psychology and business administration, but what he does lies between psychology and economics. He might ask questions like an economist, but instead of assuming that people are behaving rationally, he makes observations, designs ingenious and original research to test them, and draws conclusions in an effort to understand decision-making that is less than ideal. Behavioral economics deals with the huge gap that exists between the way we perceive ourselves and our behavior, and the way we behave in actuality. We might think we’re in control when making decisions–and regard our choices as rational. But are they? It would be nice if we were more rational and clearheaded about choosing wisely, but we’re not. How else do you explain why millions of gym memberships go unused or why people risk lives to write a text message while driving? This is where the field of behavioral economics can help: there is no assumption that people act in sensible, rational ways. Behavioral economists observe how people actually behave, and often conclude that human beings operate irrationally. Despite our intentions, why do we so often fail to act in our own best interest? Why do we promise to skip the chocolate cake, only to find ourselves drooling our way into temptation when the dessert tray rolls around?” Why do we overvalue things that we’ve worked to put together (e.g. Ikea furniture)? What are the forces that influence our behavior? Dan Ariely is dedicated to answering these questions and others, in order to help people live more sensible, if not rational lives. His interests span a wide range of behaviors, and his innovative, elegant experiments are consistently amusing and informative, offering counter-intuitive findings and profound ideas that fly in the face of common wisdom. In his groundbreaking book Predictably Irrational: The Hidden Forces That Shape Our Decisions, behavioral economist Ariely reveals the multiple biases that lead us into making unwise decisions, refuting the common assumption that we behave in fundamentally rational ways. From drinking coffee to losing weight, from buying a car to choosing a romantic partner, we consistently overpay, underestimate, and procrastinate. Yet these misguided behaviors are neither random nor senseless. They’re systematic and predictable-making us predictably irrational. Entertaining and surprising, Ariely unmasks the subtle but powerful tricks that our minds play on us. Of course, irrationality is not always bad. His follow-up book, The Upside of Irrationality: The Unexpected Benefits of Defying Logic at Work and at Home offers another look at the irrational decisions that influence our lives, as well as some of the positive effects and benefits that such irrationality can have. Drawing on the same experimental methods that made Predictably Irrational a bestseller, Ariely uses data from his own original and entertaining experiments to draw arresting conclusions about how-and why-we behave the way we do. From our office attitudes, to our romantic relationships, to our search for purpose in life, Ariely explains how to break through our negative patterns of thought and behavior to make better decisions. The Upside of Irrationality can change the way we see ourselves at work and at home-and cast our irrational behaviors in a more nuanced light. Most of us think of ourselves as honest, but, in fact, we all cheat. Generally, we assume that cheating, like most other decisions, is based on a rational cost-benefit analysis. But in The (Honest) Truth About Dishonesty: How We Lie to Everyone–Especially Ourselves, Ariely argues, and then demonstrates, that it’s actually the irrational forces that we don’t take into account that often determine whether we behave ethically or not. Ariely shows why some things are easier to lie about; how getting caught matters less than we think; and how business practices pave the way for unethical behavior, both intentionally and unintentionally. Ariely explores how unethical behavior works and is sustained in the personal, professional, and political worlds, and how it affects all of us, even as we think of ourselves as having high moral standards. But there are solutions. Ariely also identifies what keeps us honest, pointing the way for achieving higher ethics in our everyday lives. With compelling personal and academic findings, The (Honest) Truth About Dishonesty can change the way we see ourselves, our actions, and others. Dan was born in New York City while his father was studying for an MBA degree at Columbia University. The family returned to Israel when Dan was three. He grew up in Ramat Hasharon. In his senior year of high school, when he was active in an Israeli youth movement and preparing a ktovet esh (fire inscription) for a traditional nighttime ceremony, the flammable materials he was mixing exploded, causing third-degree burns over 70 percent of his body. He was in the hospital for 3 years, involved in rehabilitation for longer, and still experiences pain and reduced range of motion in his hands, making it difficult to write for lengthy periods–a hardship for someone immersed in academia. Dan’s introduction to irrationality in people’s thought and behavior patterns was experienced in his protracted and excruciatingly painful hospitalization recuperation period. He was subjected to daily baths where dressings were removed by nurses following rigid protocols that seemed irrational to him as a patient–without consideration for such factors as intensity or duration or breaks in the process. Even when he tried to collaboratively explore how procedures might be altered for greater patient tolerance and comfort, he was met with opposition. After he left the hospital, he was compelled to research pain management to understand how to better deliver painful and unavoidable treatments to patients. His initial research projects in this area confirmed his sense that people repeatedly and predictably make the wrong decisions in many aspects of their lives, and that continued research could help change some of these irrational behavior patterns. In the end, his trial-by-fire accident and efforts to manage pain more rationally inspired him to new career directions–demonstrating his incredible resilience. In the aftermath of his traumatic accident, Dan completed work for his B.A. from Tel Aviv University in 1991, transitioning from majors in physics and mathematics to philosophy and psychology. He went on to earn an M.A. (1994) and then a Ph.D. (1996) in cognitive psychology from the University of North Carolina at Chapel Hill. At the urging of Nobel economic sciences laureate Daniel Kahniman, Dan obtained a second doctorate in business administration from Duke University in 1998. After obtaining his second PhD degree, Dan joined the faculty of MIT’s Sloan School of Management for 10 years, between 1998 and 2008; he was named Alfred P. Sloan Professor of Behavioral Economics. An extended decision-making process about where to best locate his family finally brought him back to Duke University in 2008 as James B, Duke Professor of Psychology and Behavioral Economics. Although he is a professor of marketing with no formal training in economics, he is considered one of the leading behavioral economists. He has had appointments at the University of California at Berkeley (2001-2001), Stanford Center for Advanced Studies in the Behavioral Sciences (Summer, 2004), and Princeton Institute for Advanced Study (2005-2007). Both independently and with colleagues and students, Dan has generated dozens of academic journal articles, book chapters, and presentations. He has written three bestselling books based on his observations and research: Predictably Irrational: The Hidden Forces That Shape Our Decisions (2008), The Upside of Irrationality: The Unexpected Benefits of Defying Logic at Work and at Home (2010), and The (Honest) Truth About Dishonesty: How We Lie to Everyone–Especially Ourselves (2012). Each of these focuses on translating research findings into non-academic language so that the wider public can become more aware of research in behavioral economics and apply findings and insights to their own decision-making, ethics, and consumer, financial, and health change behavior. Dan is a founder and director of the Center for Advanced Hindsight (Research Into What Might Have Been), originally at MIT and currently at Duke, where he and colleagues design creative laboratory experiments to test out observations about the psychology of money, patient and physician decision-making, cheating and social justice. The websites for these endeavors reflect his appreciation for the absurd as well as his sense of humor and the playfulness that infuses his work. Dan’s research has been featured in many popular outlets, including The New York Times, The Wall Street Journal, The Washington Post, Wired, The Boston Globe, and others. Without focusing on networking, but embracing new technologies, he has built a large, global community of people interested in his work–he reports being able to send out a tweet when he arrives in a new city, and within 15 minutes, has heard from someone ready to join him for coffee. 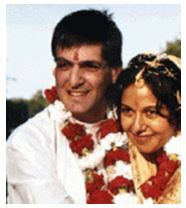 Dan credits his intensive academic research in decision making and behavioral economics as a major influence in his personal life: he found himself using all of the knowledge he’d accumulated in order to convince Sumi to marry him (a decision, he claims, that was in his best interest but not necessarily in hers). His success at achieving that goal made him realize that if a better understanding of decision-making could help him, it could also help others manage their lives better. Over the years, Dan has reduced his vast list of hobbies (including scuba diving, flying, rock climbing, photography, and more) to two: his research & Sumi, noting he was able to achieve professional status in both by 1998. Dan and Sumi are the parents of two children, 12 year-old Amit and 8 year-old Neta, and their family life in Durham, North Carolina is high priority as Dan juggles the growing demands of his international travel, speaking engagements, academic and research work, and global collaborations. (with his beautiful wife during their wedding). Painful Lessons, Dan writes about the explosion that changed his life as a teen, and the hospital experience that followed, integrating personal reflections and related findings in academic literature. January, 2008.